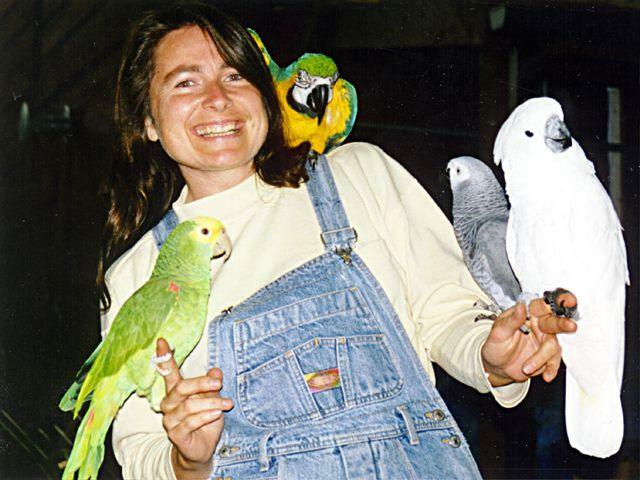 Arcata Pet employee George Scott with her birds, Rudy the Blue & Gold Macaw, Buckaroo the DYH Amazon, Malcolm the Congo Grey, and Baby Cockatoo Baby, the Umbrella. 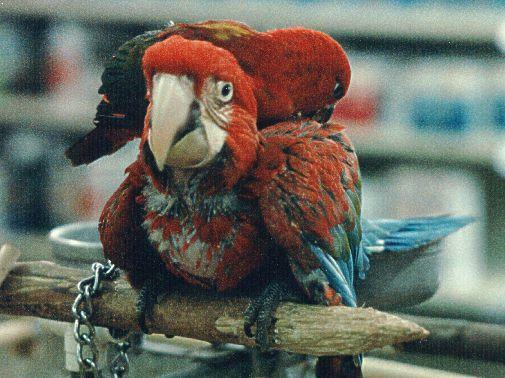 A baby Yellow-Back Lory (Chattering) preens a fellow baby, a Green-Wing Macaw. 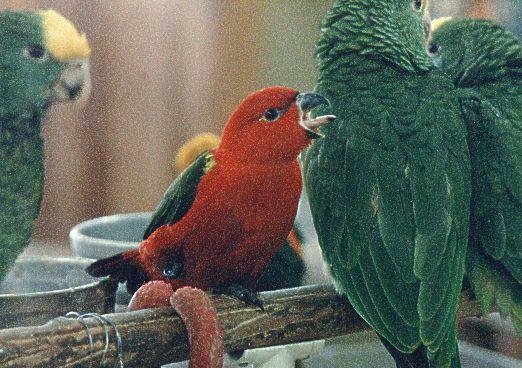 Baby Yellow-Back Lory yawning, showing the length of the Lory tongue. A large collection of babies at Arcata Pet. 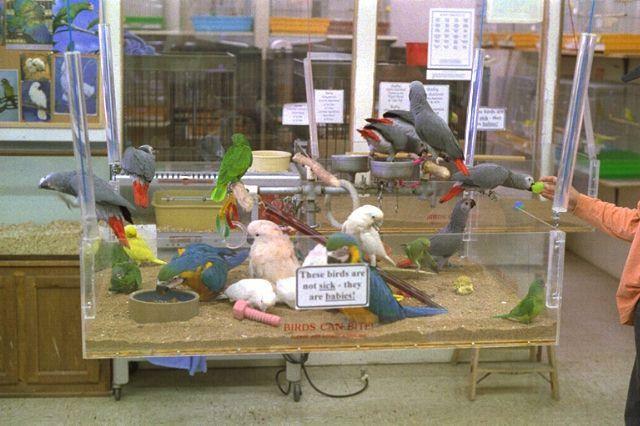 This photo is a number of years old, and the bird playpens were moved to an enclosed room during a remodel in 1994.